Info: Tinker Hatfield continued to revolutionize the shoe game with the Air Jordan 5, as it was the first to boast a clear rubber sole and lacelocks. This release is nicknamed 'Pro Stars' inspired by the early 90's Saturday morning cartoon series starring Michael Jordan. 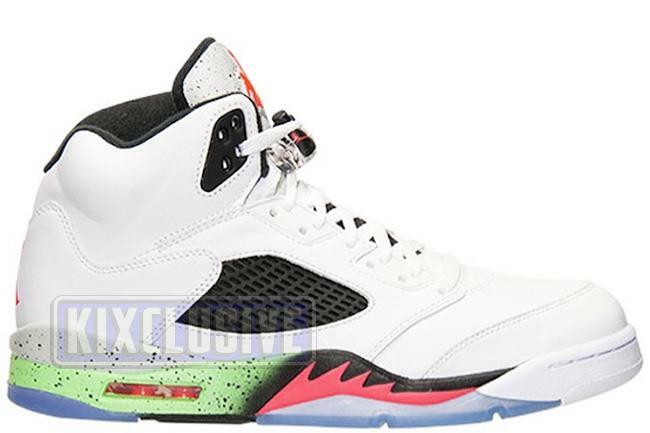 It features a colorful mixture of black, poison green and infrared 23 accents along with a cement 3M tongue. June 2015 limited release.